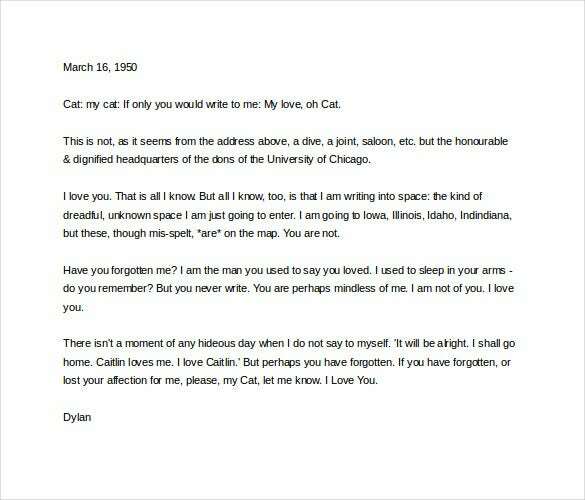 Love letters written by great men are of historical importance. 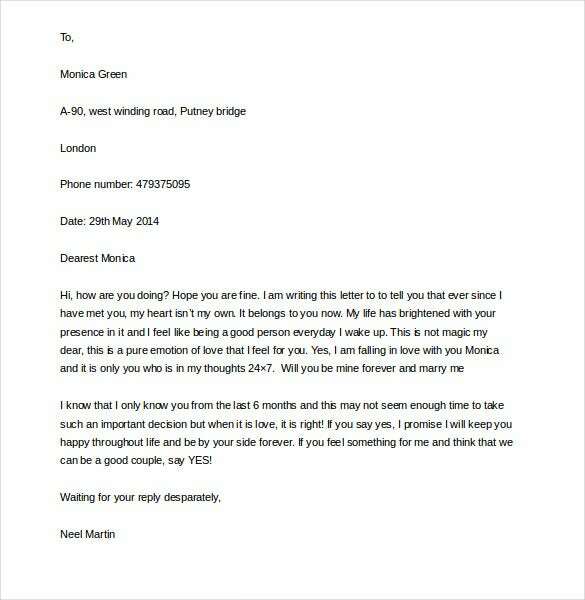 These love letter to girlfriend provide an insight into the romantic psyche of these otherwise serious men. 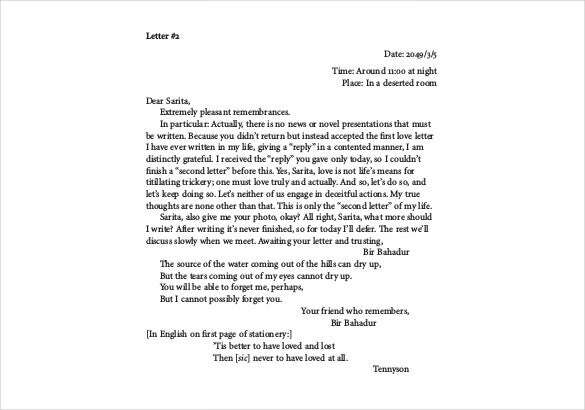 Love letters written by eminent personalities like Beethoven, Napoleon Bonaparte, Voltaire, Mozart, Vincent Van Gogh etc provide with the kind of inspiration that is sometimes required by us to write a letter to our loved ones. A lover of history is sure to appreciate a quote or two from their favorite historical personality in the love letters written to them. Hence, we have kept copies of sample love letters written by some great men for your reference and perusal. napoleonguide.com A majestic ruler that he was, Napoleon was equally passionate when it came to matters of the heart which is duly conveyed by his fiery love letter to beloved Josephine. 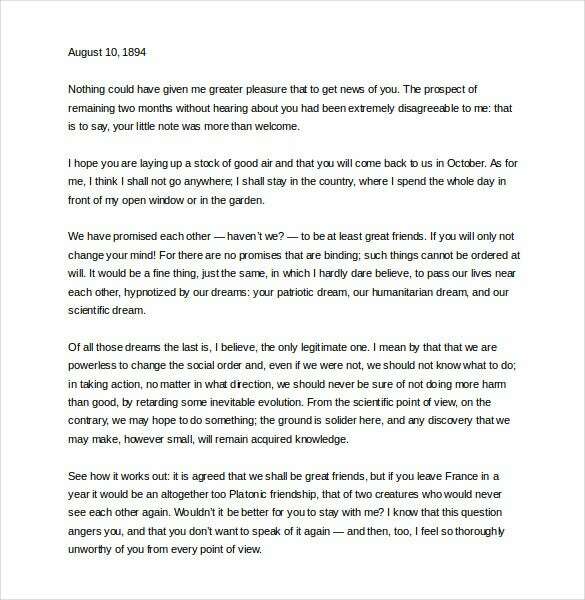 In the letter, the legendary French ruler speaks of how much he is intoxicated in love with her and that he cannot live in peace being parted from her. 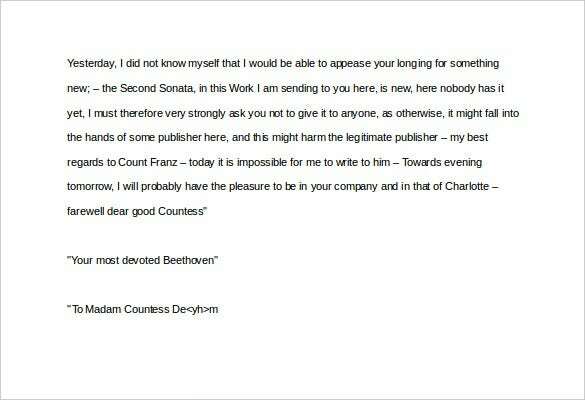 blog.rev.com The iconic musician Beethoven was also famous as a devoted lover and here you have one his invaluable love letters penned to his beloved. Starting on a sweet note where he addresses the lady as “my angel” and “my all”, the letter goes on to saying about his experiences and that he has so much to tell her. 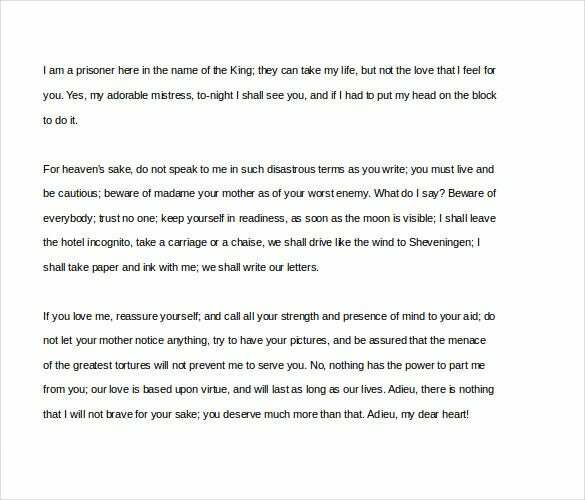 historyandwomen.com This ardent love letter from the great Voltaire is the true promise from a lover who is even ready to sacrifice his life for the lady he holds so dear to his heart. 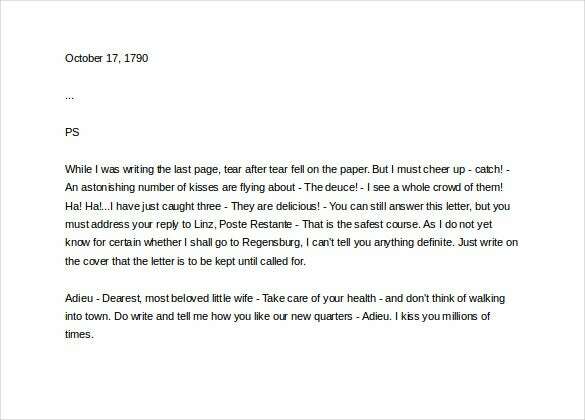 The letter is about Voltaire promising a romantic escapade with the girl where he tells his girl to stay alert for his call. 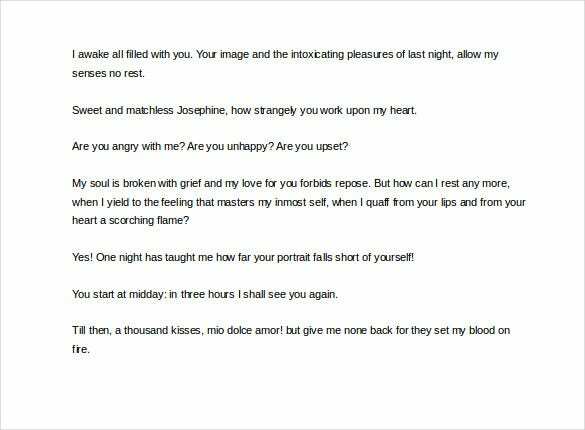 historyandwomen.com This beautiful mushy love letter from Pietro Bembo to Lucrezia Borgia starts on a fervent note where the great poet has wrote how just an 8 days of separation from his beloved feels like 8 years of grief & that how much he is filled only with her sweet memories. 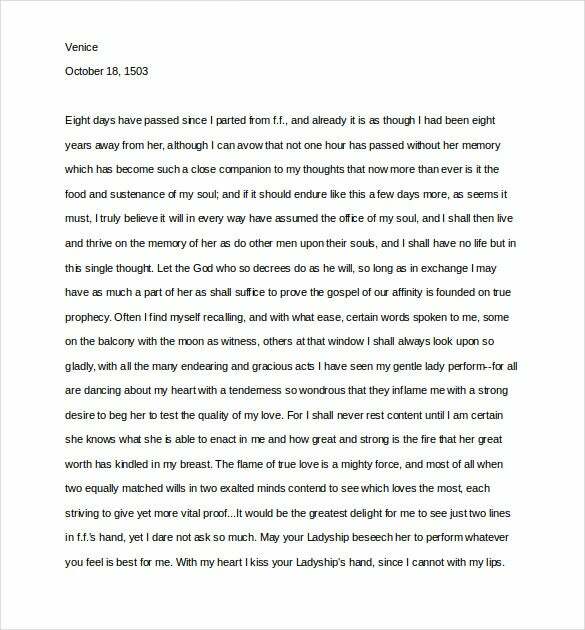 theromantic.com This love letter from Pierre Currie was written to his beloved wife Marie as he was overjoyed to receive her news after a long gap of two months. The letter goes on saying that the two would be best of friends forever and that to realize that they should not be far from each other for so long.